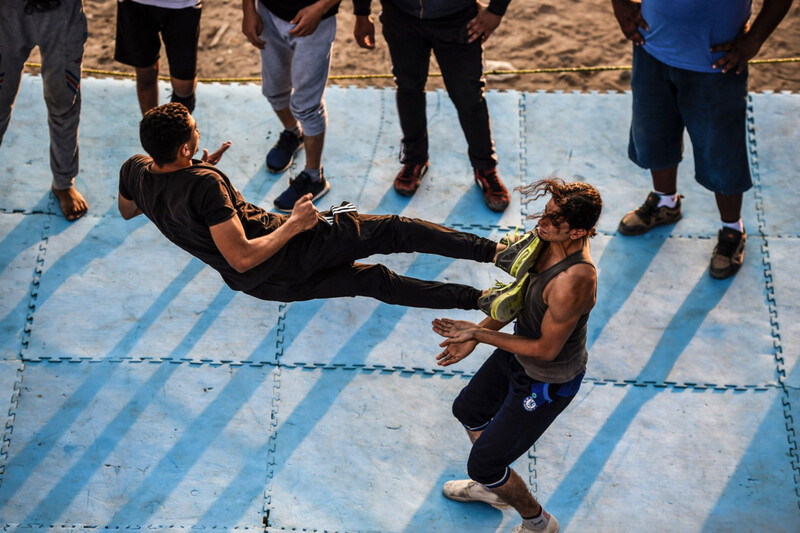 Esmailiya: In an Egyptian schoolyard, hundreds of fans watched as amateur fighters with painted faces and dramatic costumes recreated an American-style wrestling show. With eyes blackened by make-up, “The King of the Night” readied to take on “Tiger”, clad in a leopard skin cape. Under bright lights and blaring rock music, the duo took to the ring and the fight played out with a mix of athletic moves and careful choreography. 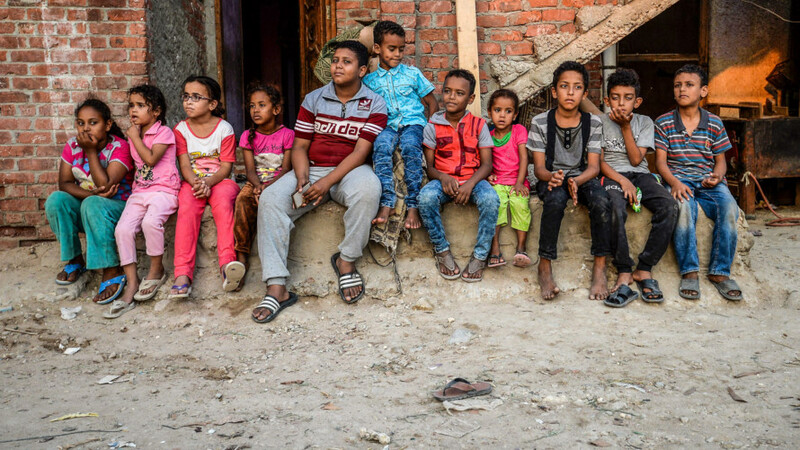 The rare spectacle at a village school near the city of Esmailiya, on the banks of the Suez Canal, attracted a crowd of nearly 1,000 men, women and children. The show was the brainchild of Ashraf Mahrous, who founded the self-declared Egyptian Federation of Professional Wrestling in 2012 and has since organised 22 events. The group started with just eight fighters, including two women, but now boasts 50 amateurs from across Egypt - although it is still not an official body. “The idea of wrestling started with performing fighting moves on the bed with my brother,” said 37-year-old Mahrous. Three beds were broken in the process, forcing the boys to sleep on the floor. Years later the strikingly-tall Mahrous now uses the wrestling name “Kabonga”. He dressed in a suit and tie for the school show, which he had spent months preparing. But the playground lacked space and, after just 10 minutes, the event was shut down due to overcrowding. “We were not up to it,” co-organiser Ahmad Abdullah told the crowd through a microphone. “We had hoped to present something new to the village of Abu Saltan,” he added. Mahrous broke down in tears as people left and the lights went off one by one. “If there was money, we could offer seats to everyone and hire an event organiser,” he said. The wrestling federation lacks sponsors and its members spend their own money on organising events. Most take place in clubs, but one is hosted by a Cairo children’s hospital. 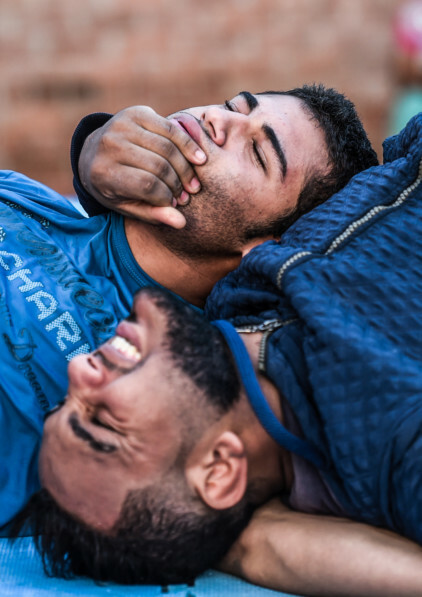 “No-one succeeds here” in Egypt, one of the wrestlers whispered. But despite the challenges, the wrestlers remain hopeful of one day achieving the fame enjoyed by professionals in the United States. 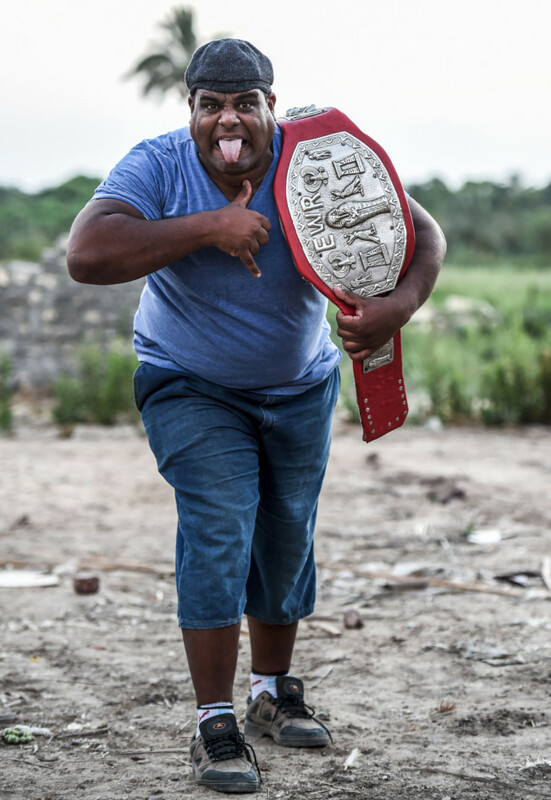 Momen Mohammad - who fights as “Commando” - said he has been passionate about American wrestling since he was a child. “My favourite is Rey Mysterio, because of his light movements on the ropes and his fighting style in the ring,” he said. US wrestling is aired in cafes in working-class Egyptian neighbourhoods, allowing enthusiasts to watch icons, including John Cena, Triple H and The Undertaker. Global wrestling stars make a fortune from their performances, while they also cash in on spin-off films and adverts. Their Egyptian counterparts are just starting to get noticed, helped by a Facebook page which has 40,000 fans. Samir Ibrahim, a 22-year-old student who goes by “Ninja” in the ring, was thrilled when he was recognised after appearing on local television. “I ran into people who told me: ‘You were on TV, we know you, you’re Ninja who wrestles,’” he said, wearing a mask and dressed head-to-foot in black. The struggle to find suitable facilities has not put Mahrous off. 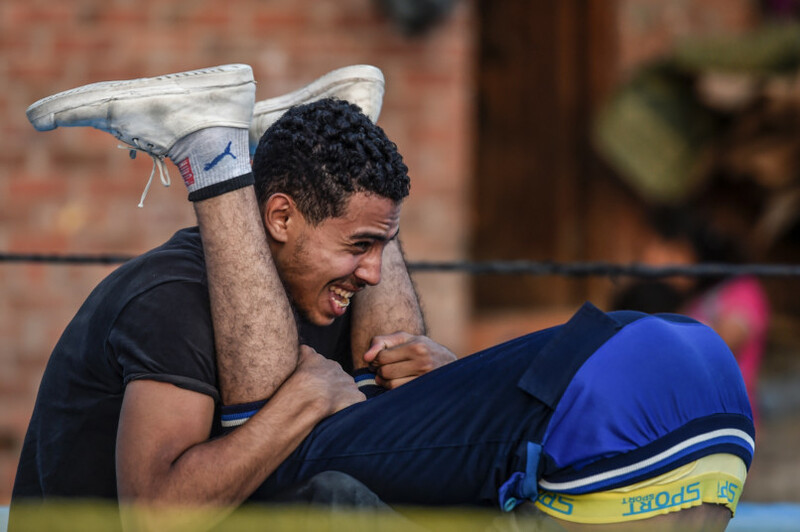 He built a makeshift ring by his family home in a nearby village, where he trains amateur wrestlers surrounded by fields and part-complete red-brick houses. 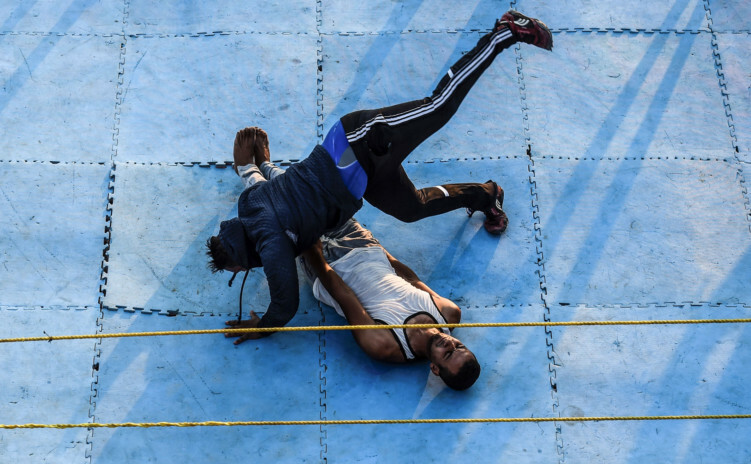 The wrestlers’ enthusiasm was clear at the school event, where 27-year-old Mohammad was steadfast in his ambitions. “I always hope that Egypt will have a professional wrestling federation,” he said, after entering the arena as “The Lumberjack” and wielding an axe.